Police, Kurdish protestors and Islamists clashed on Sunday in Wood Green, North London, after an altercation broke out at an ‘Islamic roadshow.’ Footage of the confrontation was published online. At approximately 5pm on Sunday, members of London’s Kurdish community clashed with campaigners hosting an Islamic stall in North London. As part of the pop-up road show, local Islamists were promoting Sharia law and urging passersby not to vote in the upcoming election. Among those present was Anjem Choudary, a controversial radical cleric based in London. Police arrested Choudary on September 2014, along with eight other men on suspicion of supporting terrorism. 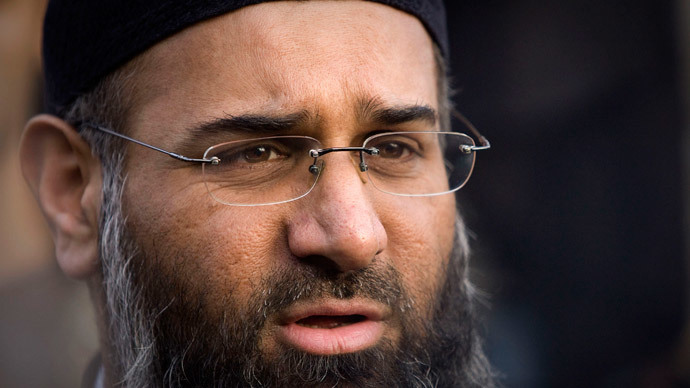 The men were also suspected of being members of proscribed Islamist group Al-Muhajiroun, which Choudary once headed. Post by The Lions Of Rojava. Officially banned in 2010, the group has been implicated in numerous atrocities and plots since 1997, including the 7/7 London bombings and the Lee Rigby murder. On Sunday evening, arguments reportedly broke out between Kurdish-Londoners and Islamists, when members of the Kurdish community made their way through Wood Green as part of Newroz, an annual Iranian new year celebration. Video footage, documenting events as they unfolded, was taken by a young boy and subsequently uploaded on the web. The film depicts police officers separating rival factions, while racial insults can be heard from onlookers. As shoppers watched, a fleet of police cars and a riot van arrived on the scene, forcing the Kurdish-Londoners down the street, away from the Islamist roadshow. Police said no arrests were made during the incident, and the Kurdish procession arrived at its destination at 6.11pm. Despite the lack of arrests, pedestrians who had witnessed the event took to social media to communicate the “madness” that had taken place in Wood Green. He said it had been scheduled to deliberately disrupt celebrations relating to Newroz. Mustafa stressed the Islamists had purposely organized a stall in a busy shopping center near the Newoz celebrations. The intention was to promote Sharia and their proposed caliphate, he said.